"Their Greatest Hits (1971-1975)" is five million ahead of Jackson's classic, which is currently on 33 million sales. 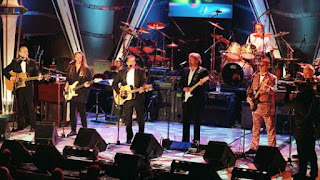 The Eagles' Hotel California album, released in 1976, is now 26x platinum, making it the third-best selling album of all time in the US, the RIAA said. In 2006, the last time sales of their greatest hits album were counted, it was 29x platinum. Sales and streams for Thriller were updated last year.